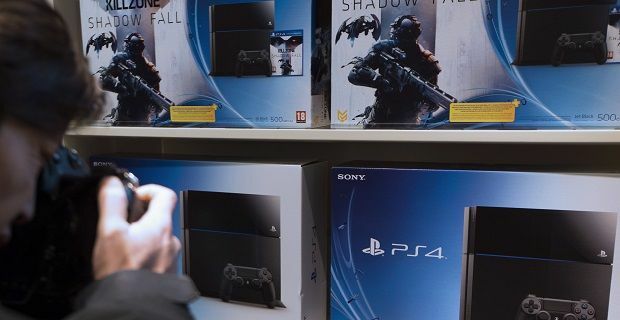 We weren’t all that surprised to read that the PS4 was the best-selling console in the UK last year because worldwide sales of 4.2 million suggest that the machine’s pretty popular globally. In the UK, Sony sold 530,000 units, which is very impressive given that it was only launched in November. Sony’s managing director, Fergal Gara did say that his firm are “delighted with the very strong sales of PS4 to date,” and added that he would like to “thank the gamers, our retail and publishing partners who played a big part in making this success possible,” which sounded like an Oscar acceptance speech. Nintendo took the runners up honours with sales of the Nintendo 3DS outstripping those of the XBox even though it can’t compete with either of the Microsoft or Sony machines technically. Strong titles for the 3DS and the release of the new budget version, the 2DS, helped push the Nintendo machine into second place. The recent announcement that PlayStation’s back catalogue will be available through the new PlayStation Now which Sony unveiled last week at CES 2014 in Las Vegas, will also push up the popularity of the PlayStation. There are some concerns that the cloud-based system will lower console sales, but Sony won’t worry about that as long as they are at the forefront of the gaming market.